Huge congratulations to Balmond Studio architects Povilas Cepaitis and Diego Ordoñez, who have just won 3rd prize at the Global Holcim Awards 2012! 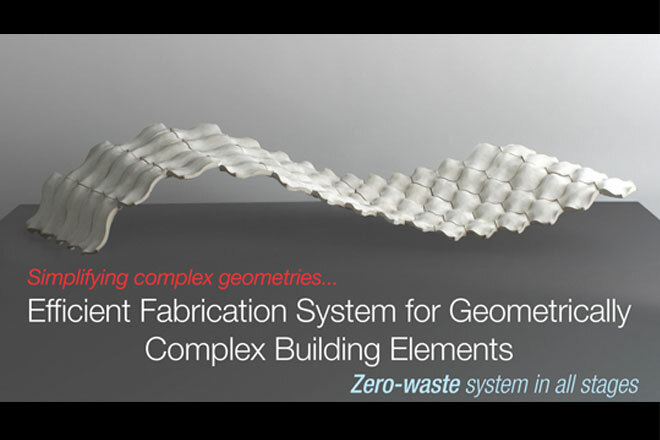 Their project, Cast on Cast, efficient and sustainable fabrication process, is a proposal for a self-forming fabrication system for the manufacture of complex geometries in concrete. Cast on Cast minimises waste, eliminates formwork and facilitates transport because components can be easily stacked. Along with their teammates LLuis Enrique and Carlos Piles, they completed this project while studying at the AA School of Architecture Design Research Lab. Read more and watch a video of the judges’ comments here.